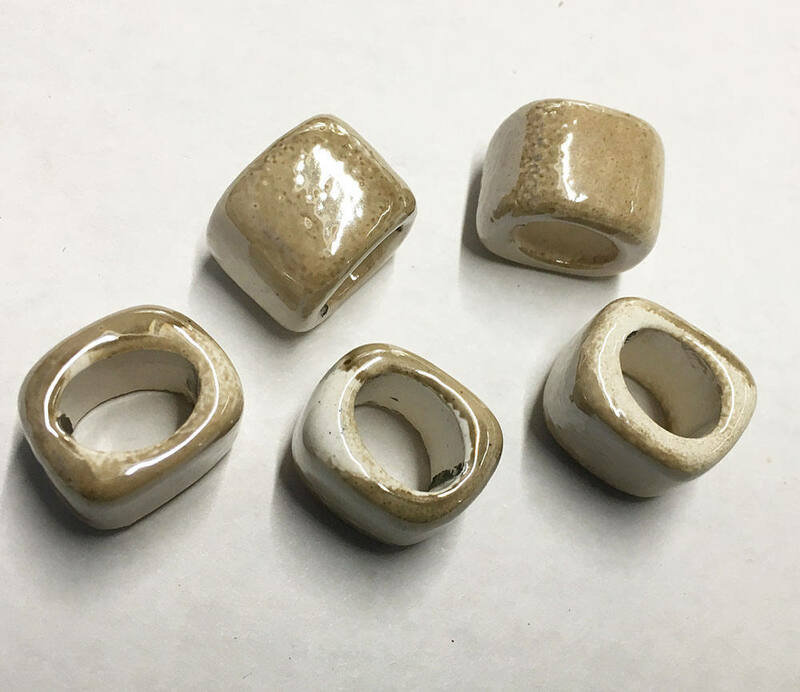 Beige Cream large hole ceramic spacers for thick cords. Use as sliders to go with licorice leather or fiber cords. 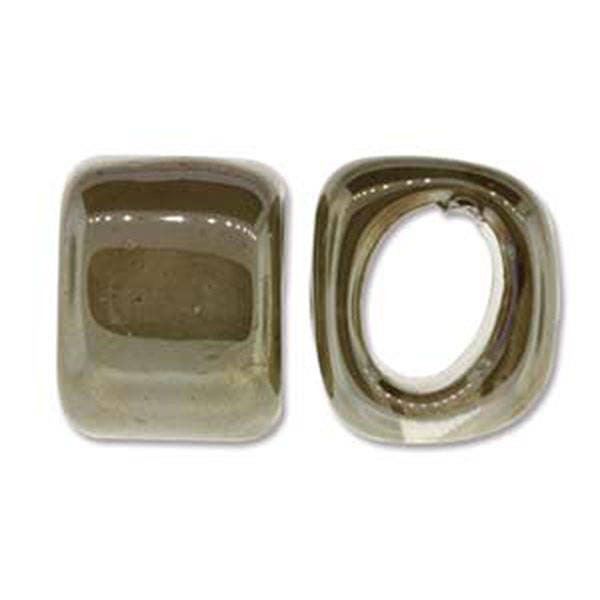 The inner surface of beads have some unfinished areas in the corners which is due to the glazing process - this does not affect the integrity of the beads. Outside surface is glazed. You will receive 2 pieces. Beautiful beads, will go with all kinds of colors.